Nothing causes stress, worry, and panic like the thought of a pending eviction process. Not only do tenants suffer from these negative emotions, but landlords also hope to avoid any type of conflict that would lead to a removal of renters. Whether done incorrectly or correctly, the eviction process is fraught with loss of money and time as well as emotional damage. My parents endured this hardship while dealing with their renters in Georgia. They did not adhere to contractual obligations and stopped rental payments. After several months of failed personal negotiations with the renters, my parents ultimately consulted a lawyer. The eviction process lasted three months and racked up more than $5,000 in legal fees. In this particular county, the legal procedures included a sheriff’s presence for the move out, which was humiliating for all involved. This all occurred after more than six months of renters living in the property for free. Unfortunately, Landlord/Tenant laws vary from state to state thus making any type of legal activity difficult to navigate alone. Seeking legal advice before persuing any type of eviction procedure is highly recommend by professionals representing both tenants and landlords. Luckily, military affiliated homeowners and renters have access to Judge Advocate General Services across the country. The best way to try and avoid any potential eviction issues as renters and landlords is to know basic (if not detailed laws) for the property’s location and what lawful reasoning is necessary for removal. Non-payment of Rent, or if tenants are regularly late with payments. This is fairly obvious, but in some circumstances, tenants have protection. Keep reading to know who and when. Violated Lease Agreements. Big infractions include running a business from the property, whether legal or not, and owning a pet without being approved. Expiration of Lease. 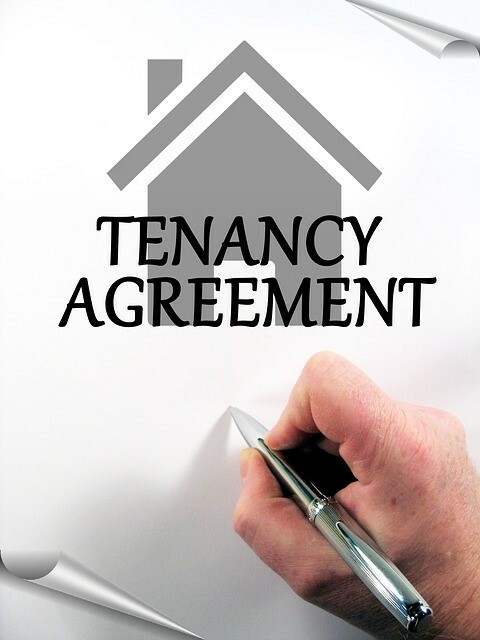 After the term of the lease, landlords may not renew the terms for the tenants. If the renters remain, the eviction process can start. Perform deeds out of retaliation, such as attempted removal because of reported housing code violations by the renters or in retribution for a tenant’s lawsuit against them for discrimination. Evict before a Notice to Quit has been issued. Again, each state’s guidance varies, but there is a process for legal eviction. Lead time for the paperwork may be days, weeks, or months. Landlords cannot simply demand that tenants vacate. Proceed with any type of Self Help Eviction which includes changing locks while renters are away, removing their possessions, and turning off utilities. On the other hand, tenants need to know their rights and responsibilities for a safe, healthy, and reliable home. Most renters are aware of payment requirements stated in a lease, but often overlook other clauses such as military service that may save them from eviction. These are specifically designed to protect military families regarding lease termination. Each state regulates the process of eviction. Before renters are removed, the proper steps must be taken and, sometimes, repeated. Providing timely and clear lease termination dates if due to a military transfer. Carefully reading “damage to the property” language laid out in the lease. More than normal wear and tear is grounds for eviction. Respecting your neighbors’ rights to a quiet, clean, and safe living arrangement, unhampered by your lifestyle. Going back to my parents' eviction experience...of course, there was a backstory for the renters including job loss and injury, which my parents attempted to handle with compassion and understanding before legal actions began. In the end, the finances for all involved began to get out of control. So you see, the eviction process is usually not cut and dried in either party’s favor and ultimately unsettles everyone in a multitude of ways. Preparation and knowledge will save much heartache and uneasiness for both parties involved. For more information, continue to consult MilitaryByOwner for guidance concerning many landlord and tenant issues. Click below for more tenant screening solutions! Note: this post does not constitute legal advice, but is for informational purposes only. Please consult your local and state laws regarding any eviction situation.